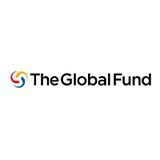 The Global Fund - "The Board of the Global Fund announced today that it will continue to search for a new Executive Director. "The Board is committed to a process that adheres to the highest possible standards, and is fair, transparent, merit-based, and conducted with due diligence and professionalism," said Norbert Hauser, the Chair of the Board. The Board convened in Geneva on 27 February to review finalists recommended by the Board's Nominations Committee. Due to issues encountered in the recruitment process, the Board felt they were unable to bring the process to conclusion. While expressing its complete support for the work of the Nominations Committee, the Board decided to restart the process. The Board's overarching priority is to continue looking for a new Executive Director to provide visionary leadership and implement an ambitious new strategy to end AIDS, tuberculosis and malaria as epidemics.